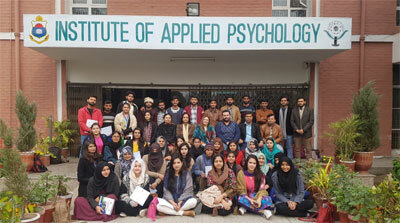 Institute of Applied Psychology, Punjab University in collaboration with College of Earth and Environmental Sciences (CEES) and Centre for Health and Gender Equality (CHANGE) organized three- days Students Societies Trainings promoting Peace Narrative through Arts and Culture Society from 14th to 16th January 2019. 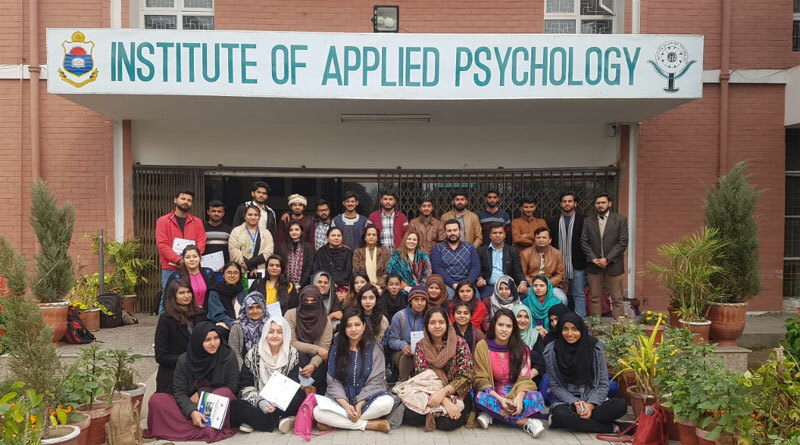 The students of Institute of Applied Psychology and College of Statistical and Actuarial Sciences participated in the training. Mr. Muhammad Pervaiz, director program CHANGE and Ms. Zahra, Faculty CEES engaged students in interactive activities, lectures, plays, brain storming sessions. Mr. Salman Abid renowned journalist and media Practitioner discussed the causes and effects of violence and the steps to be taken to promote peace. Mr. Sher Ali, renowned columnist discussed the role of student societies in promoting peace. The Director of Institute of Applied Psychology. Prof. Dr. Farah Malik highlighted the importance of need of peace in our society and how arts and culture is a great means to achieve peace. The Director motivated the students to participate in such forums. At the end, Certificates were distributed among the participants.